يحظى فندق بارامونت للشقق الفندقية بمكان متميز في محور ملبورن سياحة, تسوق, مطاعم في منطقة Melbourne CBD الفاتنة. يمكن من هنا للضيوف الاستمتاع بسهولة الوصول إلى كل ما تقدمه هذه المدينة النابضة بالحياة. إن سهولة الوصول من الفندق إلى المعالم السياحية الشهيرة الكثيرة في المدينة كمثل Original & Authentic Aboriginal Art, Aboriginal Gallery of Dreaming, مسرح هير ماجستي هو استثنائي بحد ذاته. إن الخدمات الممتازة وحسن الضيافة العالي في بارامونت للشقق الفندقية تجعل إقامتك تجربة لا تنسى. هذه بعض الخدمات الموجودة في هذا الفندق: مكتب الاستقبال على مدار الساعة, تخزين الأمتعة, صف السيارات, التوصيل من وإلى المطار, غرفة عائلية. ادخل إلى واحدة من الغرف 60 وتخلص من عناء نهار طويل بمساعدة مجموعة كبيرة من الخدمات كمثل تلفزيون بشاشة مسطحة, بياضات, مرآة, صوفا, مناشف الموجودة في بعض الغرف. يقدم الفندق خدمات رائعة كمثل مركز للياقة البدنية, ساونا, حمام سباحة داخلي, سبا, ملعب تنس لمساعدتك على الاسترخاء بعد نهار طويل من النشاط والتجوال في المدينة. مهما كانت أسبابك لزيارة ملبورن، فإن بارامونت للشقق الفندقية هو الخيار الأفضل لإقامة مثيرة وممتعة. يرجى العلم أن العقار يوجد به موقف سيارات مقابل رسوم، يرجى الاتصال بالعقار مباشرة لمزيد من المعلومات ولمعرفة الأسعار. خدمات التنظيف محدودة في شقق باراماونت المخدومة، ومن ثم فلن يتم تنظيف الشقق يوميًا. لا يُسمح لأي شخص إضافي لم يتم تضمينه في الحجز الأصلي بالإقامة بعد الساعة 10:00 PM. تتم عملية التنظيف كل 3 أيام. The apartment is located above a little mall that surrounded by a lot of restaurant, bar, convenient stores and a lot more. 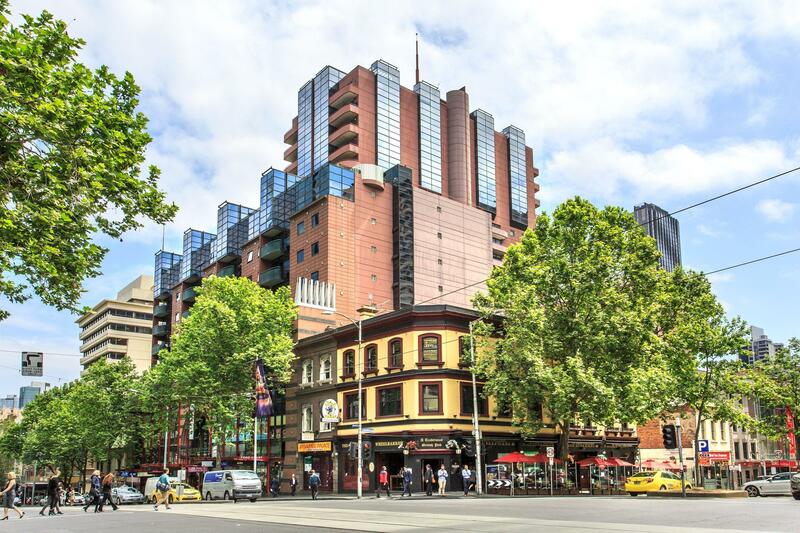 It is literally in the middle of CBD and Chinatown, that means, it’s easy to get a free tram ride to go anywhere you want as along inside the free tram ride zone. It even have its own car park basement. The room is spacious and has TV Cable channels program. Highly recommended ! 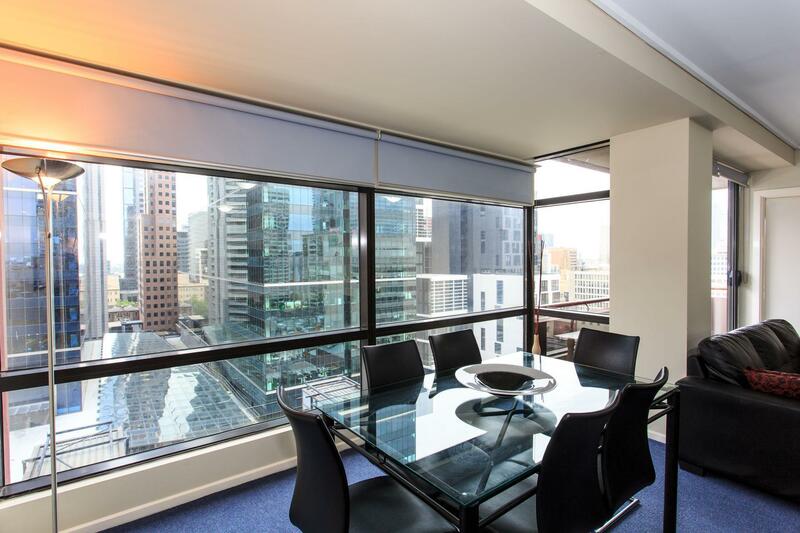 We check out from our initial stay and check in to this place.We were so happy to make the decision to move as apartment was so clean,facilities was fantastic,staff was great and location was so strategic and easier to move around. Good location, convenient for exploring yet away from the hustle. Things in the apartment were well-cleaned and functional, no hiccup since first walk-in. Very spacey in comparison with hotel rooms. Three reception staff responded promptly to our queries. We will definitely recommend it to family. Family with two preschoolers. Absolutely perfect for the money. Clean, perfect cbd location and warm pool/spa. If you get a good deal on room rates I doubt anything would match this place. Cot is available at extra cost. Which for what we paid for the room is no surprise. This apartment is so great. 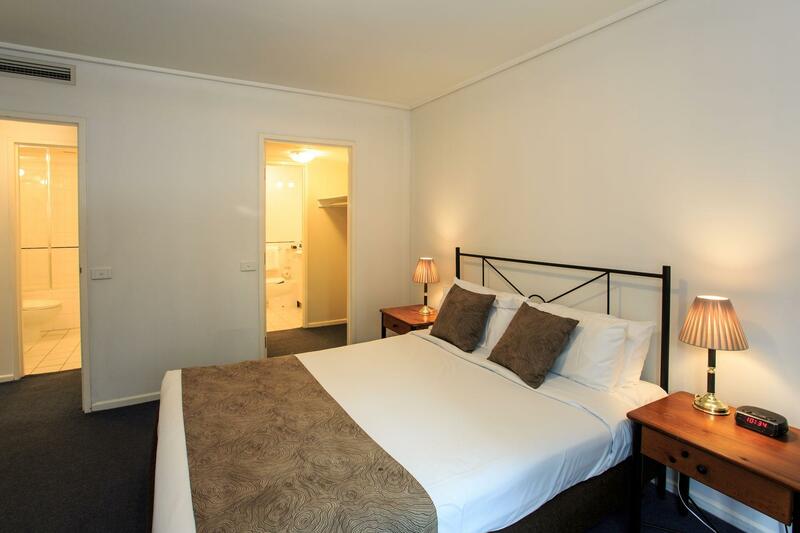 The room is clean and the bed is Comfortable, convenient transportation, close to the train station. And the Chinatown just right in the next street. Staff is very friendly and good service. High recommendation. Overall a great place; location is excellent, rooms a little dated but very comfortable and very roomy, but a things were annoying. By "serviced" they actually mean once during the week stayed, not daily. I had to ask where the bins were so i could take my own rubbish down. i was not told this at check-in and tend to stay in a lot of serviced apartments. Getting to the room required multiple lifts. Each morning the cleaner was doing a great job polishing the rials etc at the stair well but the Brasso chemical smell was quite overwhelming so i had to take the lift rather than walk the two flights. Bed and pillows were very hard which was the main concern. Great having laundry in unit but the filter was disgusting and filthy and needed a good clean before using. Large spacious lounge. Everyyhing else was very good. No air-conditioning in the bedroom. Air-conditioning unit is in the living room. No issues for winter, Autumn and spring. Location at CBD and China Town. If you join local tour, the bus can pick up at the Rydges Hotel at the opposite site. 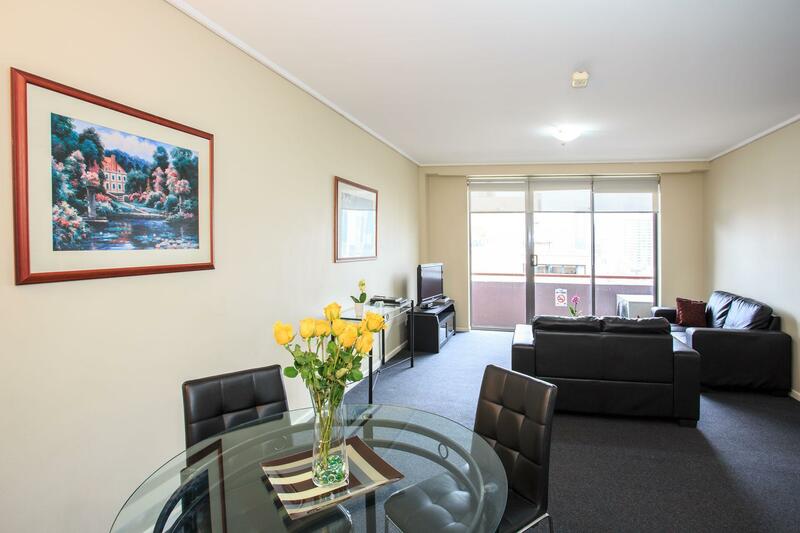 Close to large supermarket Woolworths within 8 mins walk. Apartment size is big. Bad thing is only got housekeeping once for our 5 nights stay. Oven doesn't work but have ppl fix at the same day. Swimming pool is small. One of the female staff is impatient. Others are ok. Bedroom does not have air conditioner so a bit cold and We lived the room facing main street so bit noisy too. Facilities were adequate. It would be better if washing detergent is provided. Complimentary parking would be better instead of concessionary. 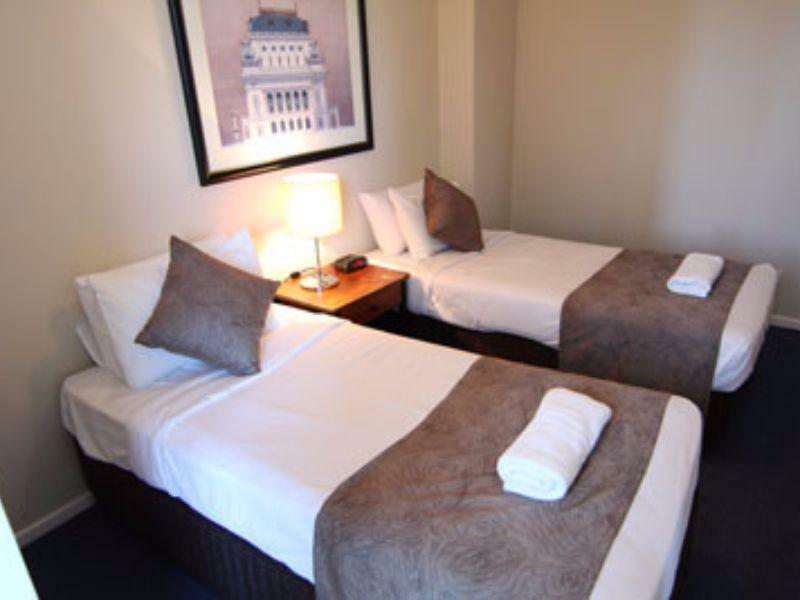 Corner location from bourke st..wi fi coverage is very good, comfortable beddings & pillow, well air conditioned, washing machine n dryer worked well, cable tv just nice, its spacious for 6 pax. However, its quite noisy at night from nearby bar outlet nearby and kitchen exhaust fumes from nearby restaurants could be smelled until d 7th floor( Open windows). The only con was that the elevator system was a bit confusing at first. Great location walk to theater and chinatown also the food court at hotel shopping center was awesome. Convenient parking also which hotel validated.